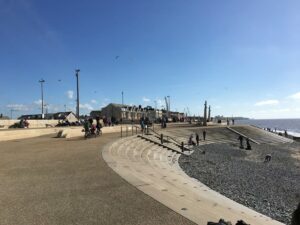 Cleveleys is a very popular place and it does get very busy, both with local people and visitors. 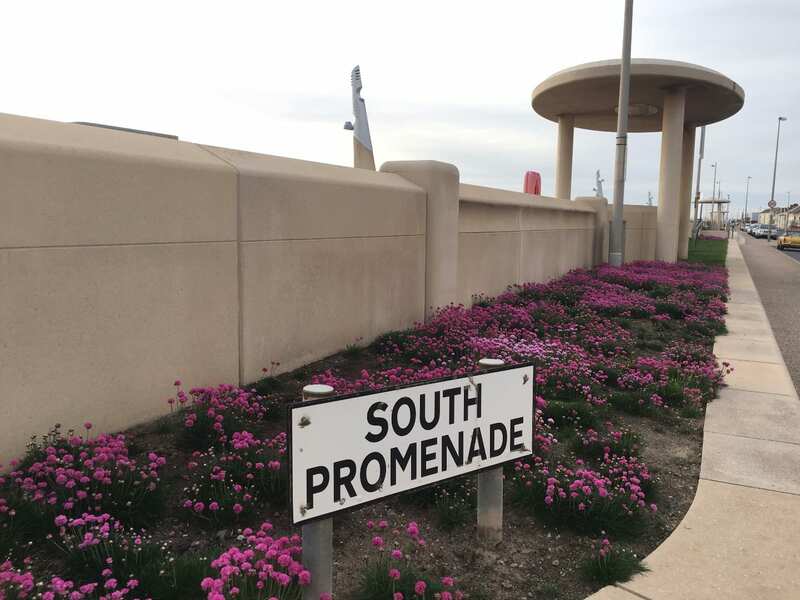 There are a number of Pay and Display car parks in and around the town centre and sea front, all in quite close walking distance to the main areas of promenade and the shops. 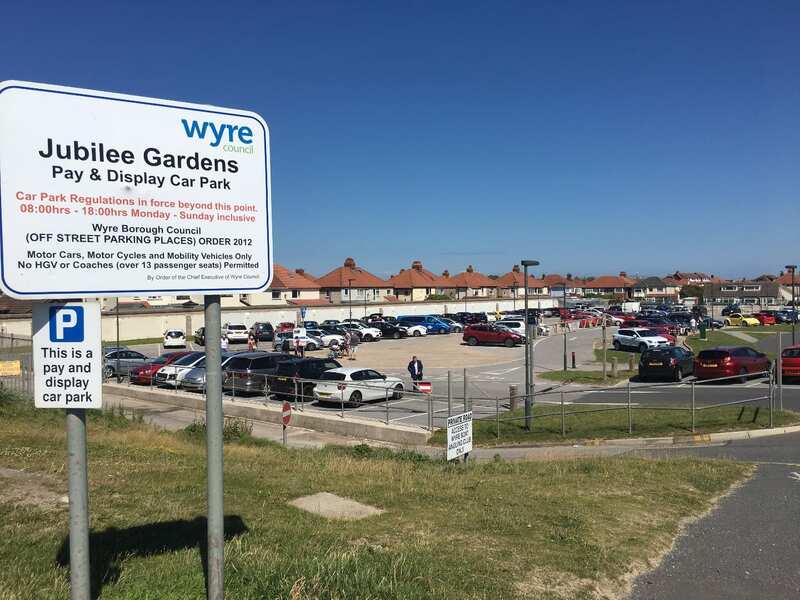 Cleveleys is in the borough of Wyre, so if you are a resident you might also wish to purchase a residents parking permit which entitles you to park for up to 2 hours a day, free of charge in nominated Wyre Council pay and display car parks all over Wyre. 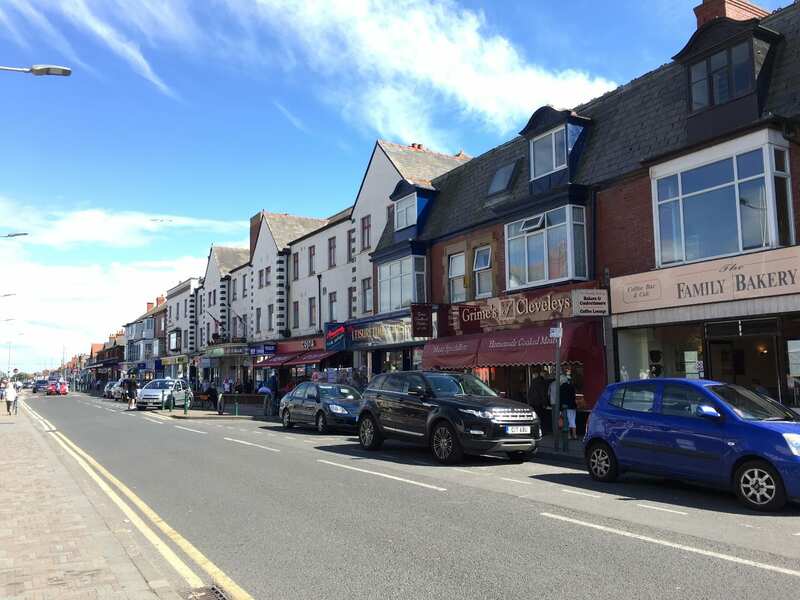 There is free on-street parking all around Cleveleys town centre. There are selected parking bays along the main shopping street which is Victoria Road West. Victoria Road West is a one-way street between the tramway and the seafront (facing the sea) with parking bays on one side only. Read the signs carefully as there are also taxi and disabled parking bays. Victoria Road West is two-way from the tramway heading East inland, and there are also free on-street parking bays on both sides of the road. There is free on-street parking on side streets off Victoria Road West at both sides of the tramway. 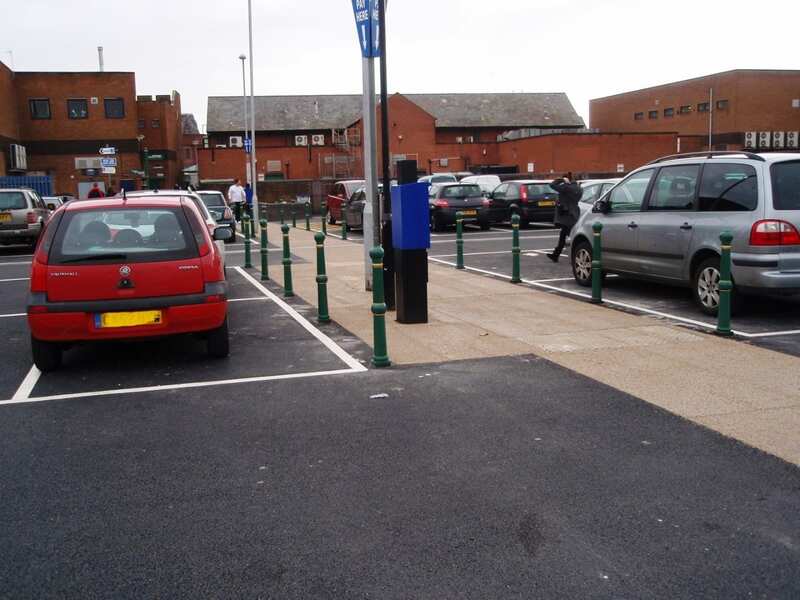 There are free on-street parking bays on South Promenade against the sea wall. 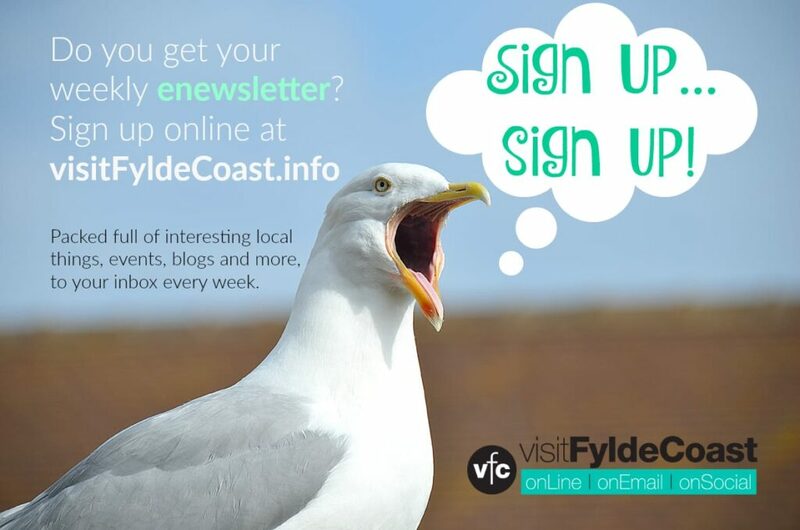 There is free on-street parking against the sea front at Rossall Promenade. Head north at Cleveleys and you will come to a dead end and these parking spaces are against the footpath and sea wall. There is free parking for patrons of Jubilee Leisure Park, off North Promenade. (Jubilee Leisure Park includes Pizza Hut, Knuckleheads Indoor Play Centre, Vue Cinema and the Harvester). This is a long stay car park off Rough Lea Road, with reasonably priced parking for stays over 6 hours.  It can also be accessed from Beach Road, adjacent to Cleveleys Community Centre. Parking time slots are up to 2 hours, 2 to 4 hours, 4 to 6 hours, and over 6 hours. Parking time slots are up to 2 hours, 2 to 4 hours, and over 4 hours. Rough Lea Road is the main town centre shopping car park to the rear of Tesco. Once you have parked the town centre can be accessed on foot by an alley at the side of New Look. Jubilee Gardens is a long stay car park with reasonably priced parking for stays over 6 hours. It’s ideally placed for your day out at Cleveleys, just across the road from the beach and seafront, near to the toilets and children’s water play area at the seafront cafe. These pay and display car parks are all managed by Wyre Council. 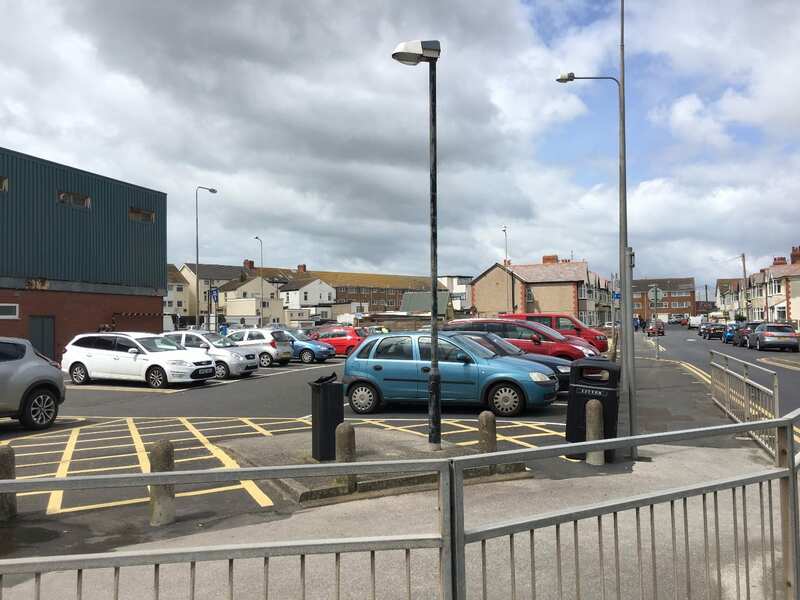 You can get more information about car parks in Cleveleys here. 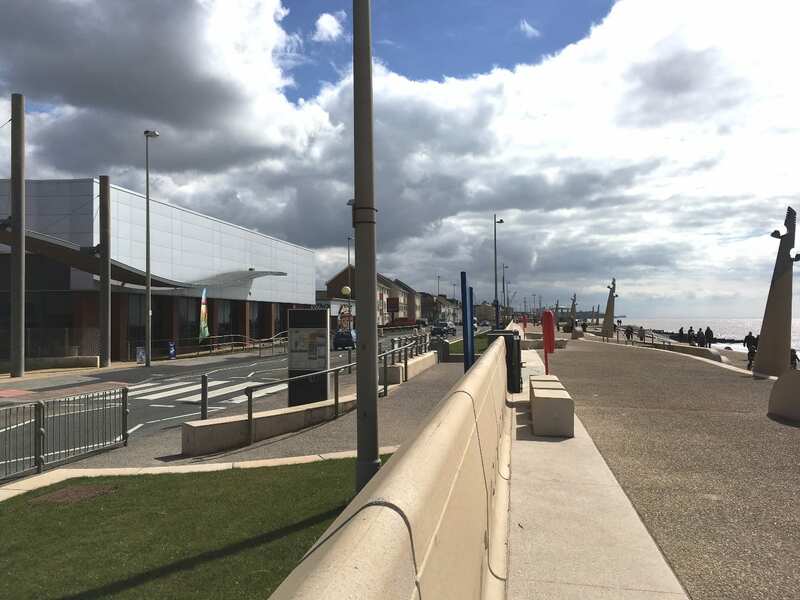 The boundary of Cleveleys (which is in Wyre) with Blackpool is at Kingsway – roughly where the small utilities ‘cabin’ type building is at the seafront. 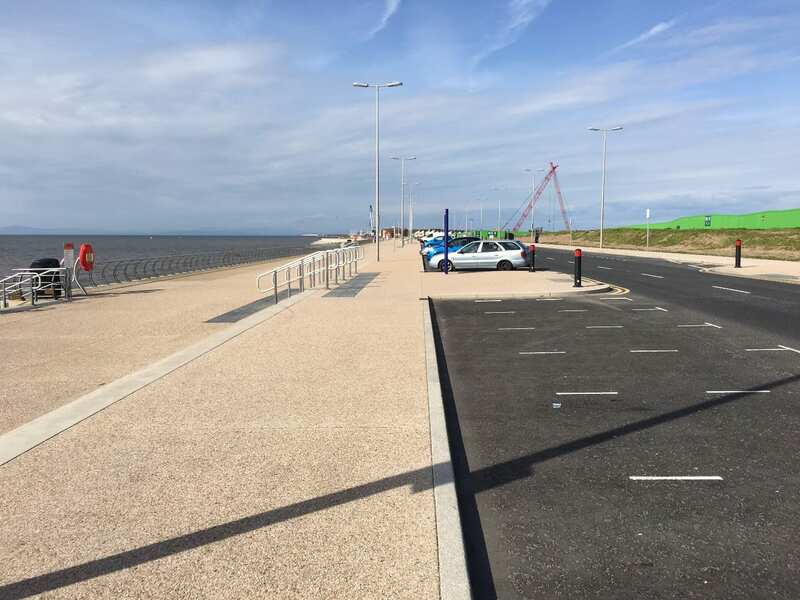 The newly rebuilt promenade at Princes Way, Anchorsholme, falls within Blackpool Council area. 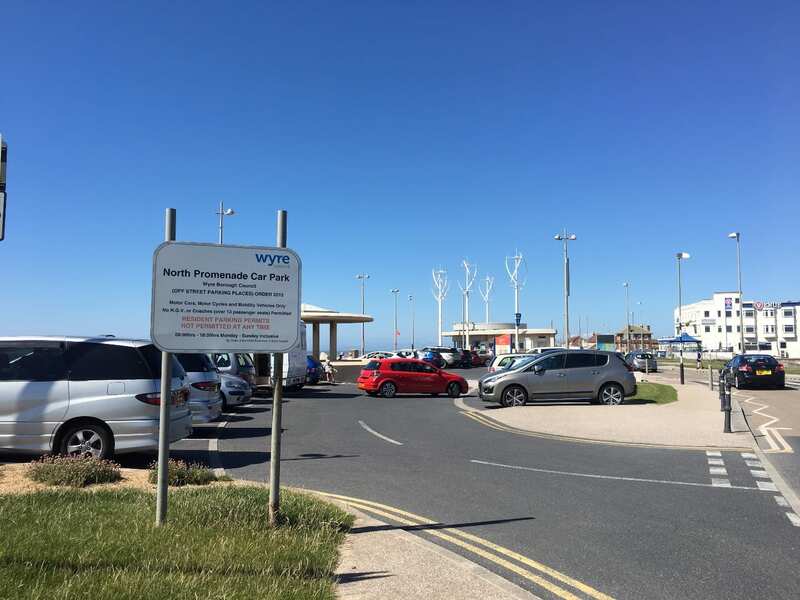 Pay and display parking is now in operation along that stretch, but it is long stay and within walking distance of Cleveleys – with a beautiful view of the sea and beach. 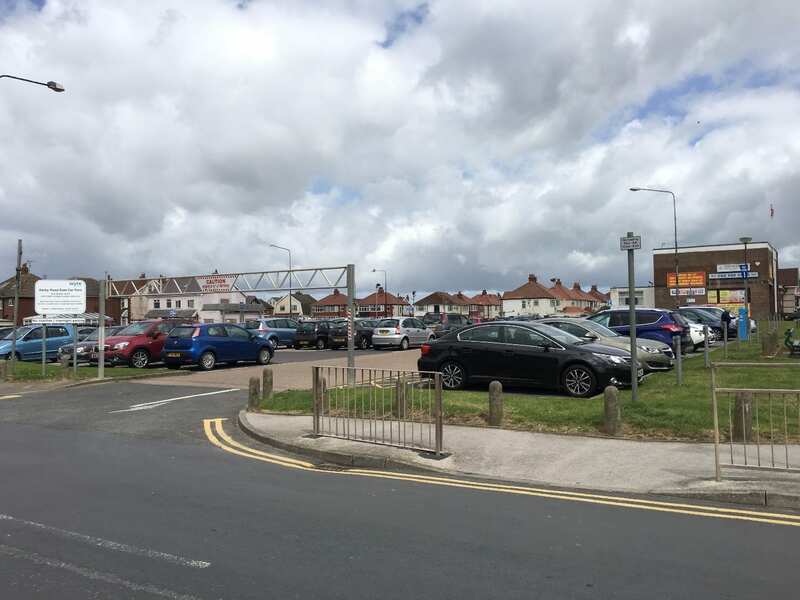 In Cleveleys town centre there are separate car parks for customers of Aldi and Marks and Spencer foodstores, both accessed off Runnymede Avenue. Please be advised that they are for customers only. Aldi operate a registration number entry system operated by Parking Eye (where you enter your car registration number in store to validate free parking). They do issue fines for non-compliance. Marks and Spencer operate a paid-for ticket machine where the cost of the ticket is reimbursed from the cost of your shopping in store.